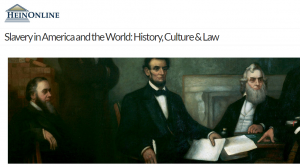 The Bodleian Libraries subscription to HeinOnline now includes a collection called “Slavery in America and the World: History, Culture & Law”. This HeinOnline collection brings together, for the first time, all known legal materials on slavery in the United States and the English-speaking world. This includes every statute passed by every colony and state on slavery, every federal statute dealing with slavery, and all reported state and federal cases on slavery, as well as thousands of pamphlets, books, legal commentaries, journal articles, and modern histories of slavery. Full details of what the collection contains may be found on the HeinOnline website. The collection is contained within HeinOnline, which may be accessed via SOLO or OxLIP+. 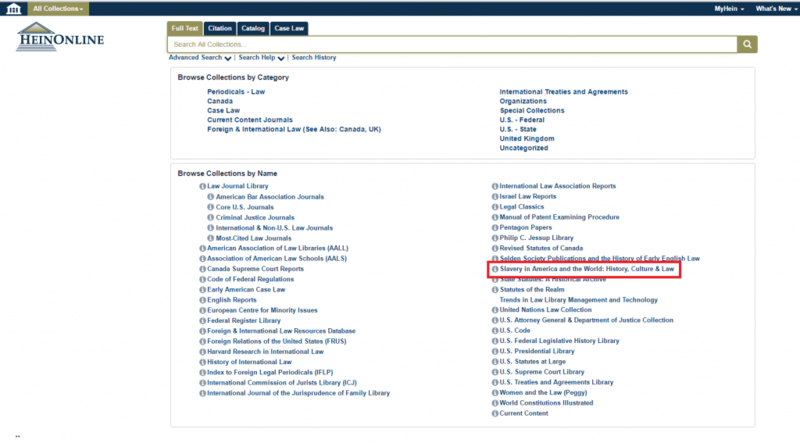 Once through to the HeinOnline database, look for the collection in the Browse Collections list. In Week 3 we are running the following iSkills courses. Please click on the course title to book your place. (We are experiencing intermittent problems with the course booking system, so if you are unable to book please email usered@bodleian.ox.ac.uk with the course title and date and we will book a place for you.) Please note, these courses are free. Weekly Open Access & ORA drop-in sessions (no need to book) to provide face-to-face support and answer all your queries on Open Access, Act on Acceptance and ORA. Would you like to make a digital edition of a Bodleian manuscript? We are looking for enthusiastic undergraduates and postgraduates from any discipline to take part in a pilot series of workshops in textual editing. The first (of six stand-alone sessions) will take place on Wednesday of 2nd week, 19 October (i.e. next week!) from 10am-4pm in the Weston Library. Participants will study Bodleian manuscripts, working with colleagues from the Bodleian’s Special Collections, the Centre for Digital Scholarship, and the Cultures of Knowledge project, to produce an annotated digital transcription which will be published on Culture of Knowledge’s flagship resource, Early Modern Letters Online, as ‘Bodleian Student Editions’. Participation is open to all students of the University of Oxford. If you would like to participate please contact Mike Webb, Curator of Early Modern Manuscripts, mike.webb@bodleian.ox.ac.uk . For more information and further dates please visit the Bodleian Digital blog. Research Support, Academic IT Services and the Centre for Digital Scholarship offer a course introducing the Guidelines of the Text Encoding Initiative for creating digital texts. The workshop uses materials developed for the Digital Humanities at Oxford Summer School. If you’re interested in learning about markup and encoding digital editions, this course is for you! You don’t need any previous experience with digital text or markup: we provide introductions to markup, XML, and the infrastructure of the TEI P5 Guidelines. The workshop covers general metadata, the transcription and description of manuscripts, and metadata concerning the names of people, places, and organizations. This is aimed at beginners. For more information, please see: http://blogs.bodleian.ox.ac.uk/digital/2016/10/14/text-encoding-initiative/ . We are seeking to recruit two invigilators to join a team of four providing cover on a rota basis for our Saturday library assistant’s lunch-break. You will staff the enquiry desk and respond to reader enquiries. You will be able to communicate effectively and courteously with readers and visitors, have sufficient IT skills to learn our library system and troubleshoot basic problems with our PCs and equipment. Full training will be provided; familiarity with the library and collections is desirable. These are permanent variable hours (paid as claimed) posts which are anticipated to be for approximately 30 minutes on a Saturday lunch-time two or three times a term. For further details or to apply online, please visit https://www.recruit.ox.ac.uk/pls/hrisliverecruit/erq_jobspec_version_4.jobspec?p_id=125693 Only applications received online before 12.00 midday on Monday 24 October 2016 can be considered. Interviews are expected to take place on Friday 4 November 2016. 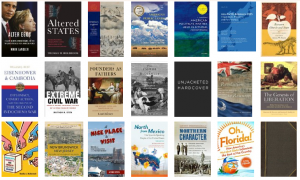 A selection of the new books received in the library during September may now be seen on our website and LibraryThing page. Bodleian iSkills is a series of workshops designed for postgraduates and researchers, covering information discovery and searching for scholarly materials, using reference management tools such as RefWorks and Mendeley, keeping up to date with research, measuring research impact, Open Access, and Research Data Management. These workshops are free, and we run approximately 30 a term. Please see our full timetable for Michaelmas Term at http://libguides.bodleian.ox.ac.uk/workshops/workshopsbydate.